This year, the Chinese New Year is on 5th February 2019. 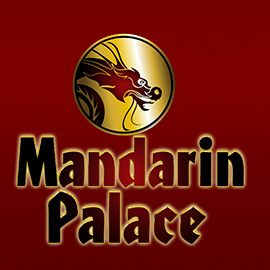 Mandarin Palace Casino is celebrating the lead up to the Chinese New Year, with a great free spins bonus promotion. Chinese New Years are named after the Chinese zodiac symbols. This year is Year of the Pig. Celebrate in style with the Mandarin Palace Year of the Golden Pig festivities. The casino selected five popular slot games, and is giving its players free spins on each of them. The free spins offers may be claimed in any order during the promotional period. Since the Chinese New Year is based on the zodiac, the first offer is on the slot game Zodiac. Get 38 free spins on the Zodiac slot game with the ZODIAC38 bonus code. For a Golden new year, the casino offers 38 free spins on the Tails of New York slot game. Redeem these free spins with the NEW38 bonus code. Because Mandarin Palace Casino want you to have the biggest year ever, the next selected slot is Big Game. Simply enter the code BIG38, and redeem 38 free spins on the specially selected slot. Next up is the Midnight Racer slot game. Unleash your free spins with the bonus code RACE38. Look down the road towards the future with the popular Midnight Racer slot and 38 free spins. What better way to begin a new year than with the rising sun. Claim your 38 free spins on the Rising Sun slot game with the RISE38 free spins coupon code. If you are a veteran Mandarin Palace Casino player, you can already get going with the Year of the Golden Pig promo. If you are a newbie, make sure to claim your Welcome Bonus first. New players receive up to $500 free when signing up and depositing with the casino. Make sure to enter the bonus code REDLANTERN when you make your first real money deposit. You get a 100% match deposit bonus up to a maximum amount of $500. Register for a real money account at Mandarin Palace Casino. Log in to the casino once you have your password and log in details. Go to the Cashier section of the casino. You will find this section from the drop down menu on the home page. Click on the Deposit option, and then click on the Bonus option. Click the Claim button and get playing.